We are excited to announce that we have teamed with Unbound to crowdfund "A Guide to Modernism in Metro-Land", the essential guidebook to discovering the modernist treasures of London’s suburbs. From the underground stations of Charles Holden to the fantastical factories of Wallis, Gilbert & Partners to one off post war modernist houses, A Guide to Modernism in Metro-Land will accompany you through the suburbs of London and the home counties. The guide will cover nine London boroughs and two counties, with a map for each area, descriptions of each building and colour photographs. 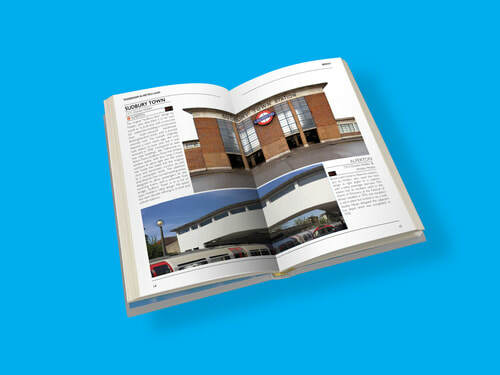 Inspired by books like Ian Nairn’s Modern Buildings in London we have always wanted to produce a guide book to accompany the website, and now, with your help, we have the chance to do that. - A print of your portrait, taken with your favourite building from the website. There will also be new buildings and photographs, not yet featured on the website. With your help, A Guide to Modernism in Metro-Land can be the 21st century accompaniment to some of the finest 20th century architecture of the suburbs.